Soak up the free information to gain a happier, healthier dog! My name is Carole Curtis. I have owned dogs and lived in the United States, the United Kingdom, Iran, New Zealand and now Australia, so feel I can justly claim extensive experience with our four legged, furry darlings right across the world. This website was born out of my passion for each and every one of God’s creatures, especially all things “dog”, and in particular dogs’ health – with a natural approach. In particular, my concern is with teeth (a natural, considering my background), allergies (most people don’t even think about their dog suffering from an allergy) and that problem all pet owners have to contend with – fleas. I sincerely trust Carole’s Doggie World increases your enjoyment in dog owning and you enjoy reading these pages as much as I have enjoyed writing them. My passion comes from being part of a family where my parents and grandparents always included our pets as family members. Our pets were all special and all loved to bits. When my sister Sherrie and I were teenagers we were introduced to the world of showing and breeding Pekingese, which was one of the most enjoyable times of our lives. Not only did we learn a lot about dogs we made many life-long friends. This site is dedicated to my grandmother Maggie-May and to my sister Sherrie, both very special people who brought love and laughter to everyone who knew them; and also to my family’s wonderful four-legged friends, both passed and present, for their unconditional love and companionship – Mac, Simba, Petsi, Thomas, Helga, Sammy, Blackie, Tortie, Khan, Zoi and Poppie. In 1962 I graduated form the Auckland School of Dental Therapist and there after spent many years working for the New Zealand Health Department as part of the New Zealand School Dental Service – a unique service which provides full dental services for children from pre-school age through to about 13 years. When I retired I extended those studies to reading, researching and writing many articles about dog’s teeth. Writing and publishing them has been a source of enormous pleasure for me. 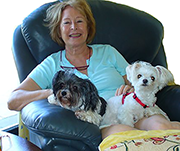 So much so, and through popular requests from friends and family I went on to research, write and designed two other websites, about dog allergies and solving dog flea problems, and all three are now combined into Carole’s Doggie World as you see it today. My passion to improve the health of our four-legged friends from a holistic viewpoint drives me to continue reading, researching and writing. To share this information with you I have created a page called “Insights & Articles”, where new articles about a variety of dog topics will be posted regularly. Please keep and eye open for this page and check back regularly for articles which may be of interest to you and your pet. Better still, please subscribe to my newsletter and you will get them as soon as they are published. If this website has helped you and/or your dog, that has made me happy. Have a great day! 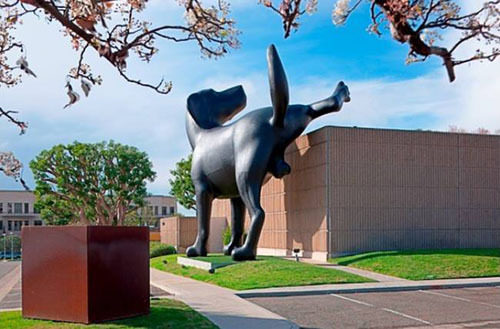 I know at times the embarrassing smell of doggie doo in your home feels like the problem is this big. Just $2.99 will give you a cheap, easy, proven answer. The most dangerous pet chew ever - rawhide! Cooked or large weight bearing bones can kill your dog!